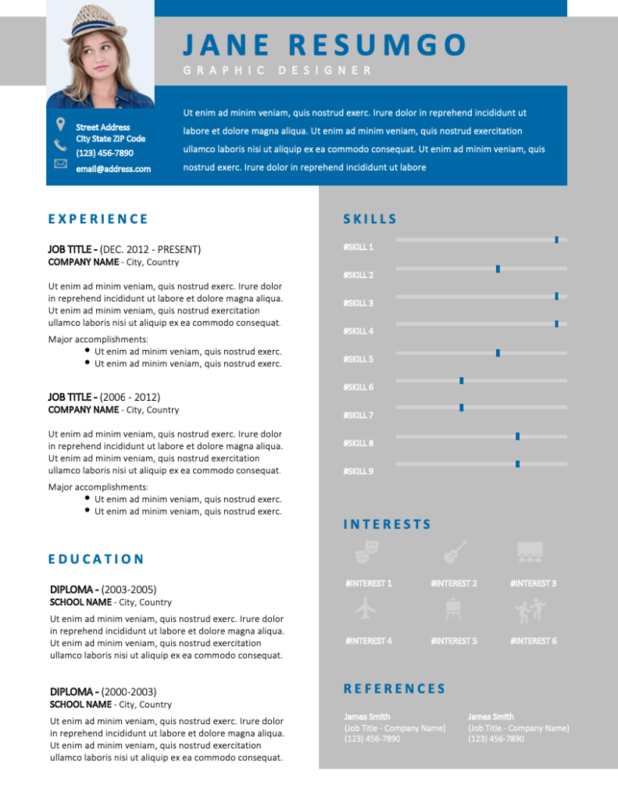 Usiris is a free modern resume template with blue and gray elements. Two-column layout with half side white, the other side gray, and blue header. This design is created to make a special focus on your main body, located on the left side of the CV. There are featured your experience and education. The other right part – using a gray background – uses more (info)graphic elements: bar charts for your skills, icons for your interests. On the lower part, introduce your references, if you have any.